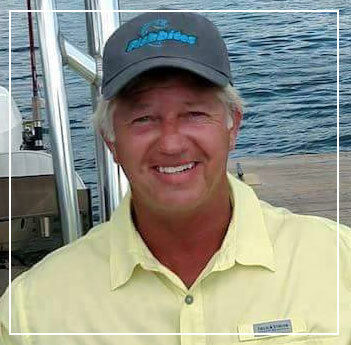 Captain Von is a seasoned fisherman who truly knows the waters of the Intracoastal Waterways off Wrightsville Beach, Carolina Beach and Wilmington, as well as the ocean beyond the inlets. Finding the perfect fishing spots requires patience, skill and experience. 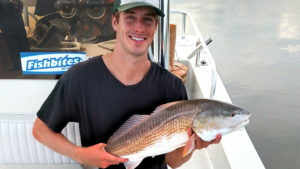 Whether you are a fishing expert or a first timer, Captain Von invites those of all skill levels. He is adept at knowing the signs and seeing where the fish are located. 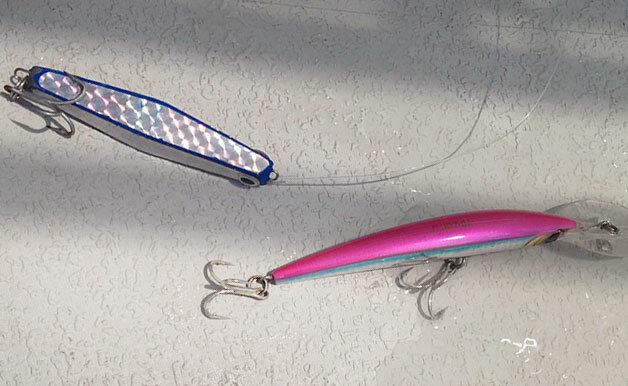 He knows the lures and bait that attract different types of fish. 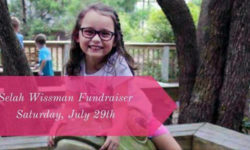 He'll teach you how to make them effective in getting the fish to bite. Most of the world is covered by water. A fisherman's job is simple—find the best parts. We Know What They're Biting! 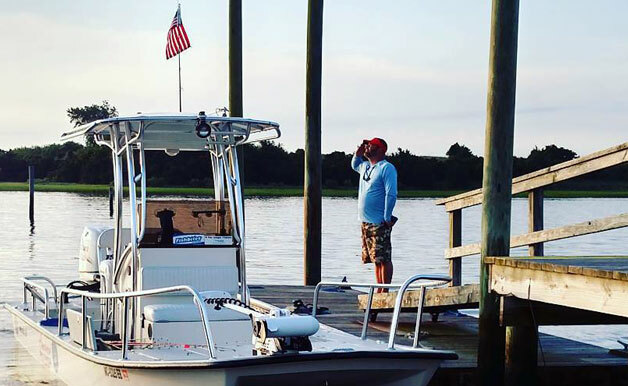 Leave it to Capt Von to know what the fish are biting for the kind of fish you want to catch. We provide the equipment to make your fishing trip a success. Whether we are trolling, casting, bottom fishing, jigging or live bait fishing, etc., Captain Von will accommodate the type of fishing you want to do. The Intruder 21 designed and built by Dream Boats, holds four World Records. It drafts 7-8 inches, gets up in 10-12 inches, and runs in less than 4 inches of water. Its ride is incredibly smooth and dry, providing greater comfort for our passengers. 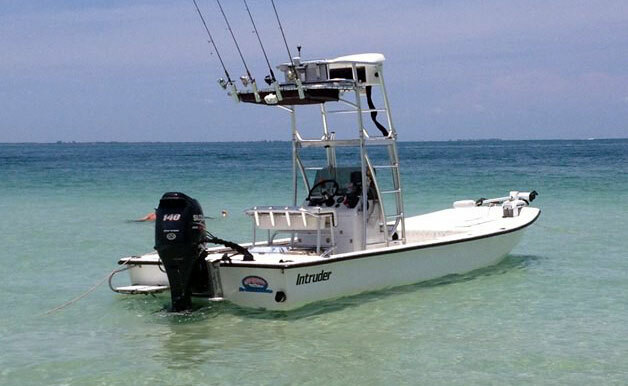 Our boat is equipped with a powerful Minn Kota 112 trolling motor with anchor lock. In essence, it is one of the best riding boats you’ll ever fish on! Ask about our special program for Veterans and active military service personnel. If they have stepped up for our country to defend our freedoms, we want to give them a "Day on the water experience". We ask the Veterans to salute the flag before boarding and we fly the flag to let folks know that a Veteran is on board. Exclusive ABC T-Shirts Now Available! 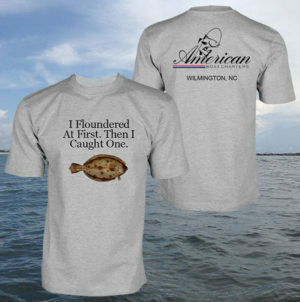 American Boat Charters is introducing a new line of fishing t-shirts that really catch the eye. Available in a variety of styles and sizes from S to XXL. Preserve your memory of your day on the water, ask to see our collection of T-s that say "you've gone fishing".